The COSBOA Innovation Games (Victoria) 2018, hosted by Paddl Co., COSBOA and the Victorian State Government are one-day, hackathon-style events. Game days involve multidisciplinary teams, who innovate solutions to local small business challenges. Day 1 of the Innovation Games series for 2018 was sponsored by AGL Energy, and the challenge for the day centred around the efficient use of energy by small businesses. Ten small businesses from the Mornington Peninsula region were invited to participate in the first day of the COSBOA Innovation Games (Victoria) 2018 including the winning business of the day, Jetty Road Brewery. 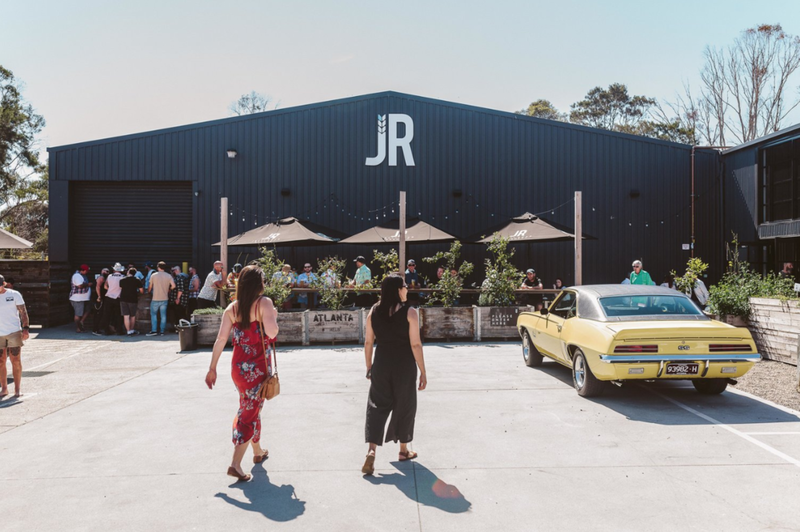 Jetty Road Brewery, was founded by two local boys from the Mornington Peninsula who combined their love for their hometown with their love for craft beer in 2016. Since opening their doors, they have found that their passion is shared with their community and have seen great success since. Jetty Road Brewery pride themselves on using the best local produce to create experiences that they can share with their friends and local community. They now boast a fully operational brewery in Dromana, taking the educational experience of the craft beer environment to the next level. The Innovation Games are designed to bring together students, graduates and businesses across Victoria, to help businesses harness innovation. 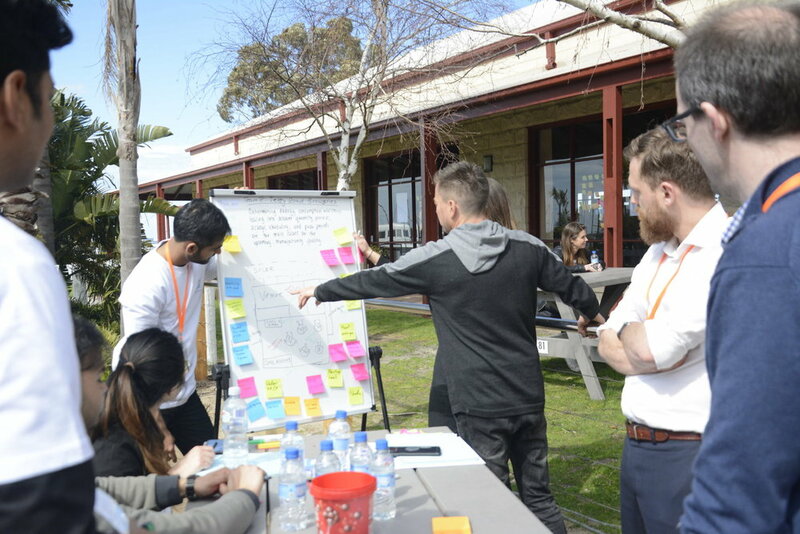 Each team comprises of 10 students and/or graduates from a diversity of backgrounds and universities, one representative from each of the local Mornington Peninsula small businesses as well as an employee from a variety of sectors in AGL Energy. The diversity of the teams helps each one to approach the problem set and come up with solutions in unique way with a variety of different experience working together. Paddl Games Challenges are an effective way for emerging talent to acquire relevant experience valued by employers. The day itself encourages participants to demonstrate their knowledge and skills as part of real workplace scenarios. The process of recruiting candidates is conducted through the Paddl platform - candidates apply for the challenge through paddljobs.com. Participants are competitively selected to form cross-disciplinary teams based on specialisation, level of experience, quality of application and interview. Paddlrs come from diverse backgrounds and universities; with areas of study including engineering, business, marketing, finance, science and the creative arts. At the end of the three design thinking sprints, each of the teams come together to pitch their ideas to a panel of judges. The judges evaluate the solution based on effectiveness of the solution in market, potential of implementation, creativity of the solution and relevance to the overall challenge for the day. Jetty Road Brewery were amazed with the challenge day’s outcomes. Their winning solution focussed on optimising energy usage through machine learning algorithms that took into account venue temperature and energy data. The judging panel was impressed to say the least - the Jetty Road Brewery Team managed to successfully develop a solution to the challenge that directly answered all of their criteria. The day marked a huge success for COSBOA, the Victorian Government, Paddl and all the small businesses involved. There were a multitude of prizes awarded for best solutions, pitches and performances to Paddlrs and their teams. Paddl Co. takes pride in making sure each individual gains something positive from the experience, regardless of whether or not they take home a prize. This was a phenomenal start to the COSBOA Innovation Games (Victoria) series for 2018, with two more Innovation Games coming early 2019!